Although Google hasn’t directly confirmed the Possum update, it has been a hot topic for many SEOs. Taken from Algoroo, the above graph illustrates an increase in ranking fluctuations in September – around the time of the Possum update. The green represents a typical amount of ranking fluctuation. Additionally, MozCast is showing an increase in ranking fluctuations around September. The first few bars of the graph show August but a definite spike in algorithm turbulence can be seen after, rising to over 110 degrees. filtering based on address and affiliation. 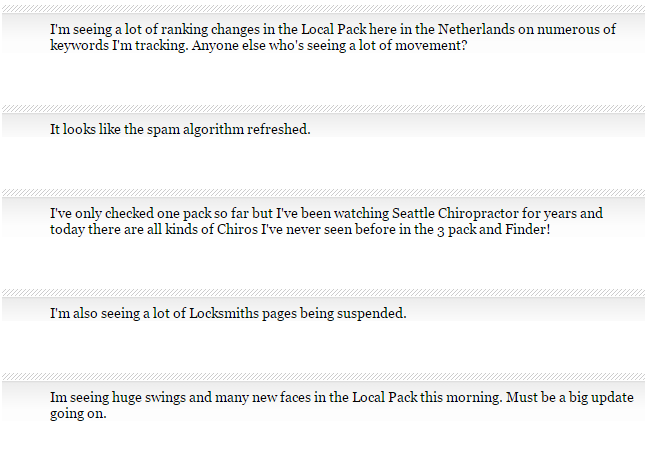 On the same day there was also talk of a second update that targeted organic search results. This is being referred to as a quality update due to the removal of spammy local results by Google. Below, in finer detail, we’ll look at the recent changes made by Possum and how they impacted the local search results for businesses. Google, in its infinite algorithmic wisdom, sees a small search area, like a neighbourhood, and wants to give the searcher results from outside the hood in order to give a more robust set. Although it wasn’t entirely clear what the distance and location ranking parameters were, there were vast improvements seen by local businesses in areas that fell outside of a city centre. Since the Possum update this has greatly enhanced with geographical proximity being widened. Previously, where some businesses were missing out (mainly those who fell outside of the city centre and found it difficult to rank for keywords that included a city name), they have started to report positive rises in ranking positions. Love this article! Checked client's ranking- they had risen from 29th to 3rd position on mobile and desktop! Linked to the enriched geographical proximity changes, it has been noticed that a variety of short- and long-tail search phrases are having a significant effect on results. Where earlier variations would pull the same or very similar search results, a number of ranking fluctuations are being seen in the local 3-pack. As you can see, both of the below examples are showing different results. Since Possum, it has become much harder for one company to dominate one spot. This might be bad news for businesses but from a user perspective this makes perfect sense. 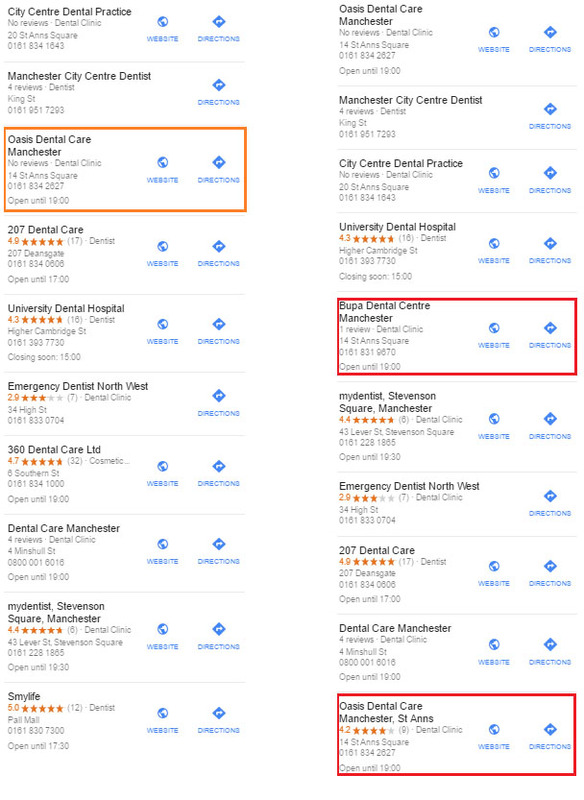 If you were searching for a dentist, would you really want to see the same one listed numerous times? 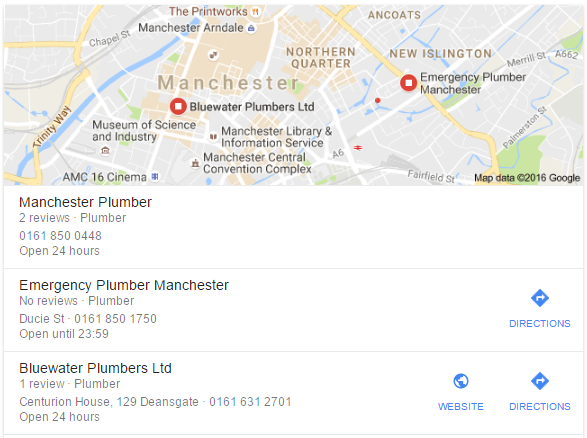 Below is an example of businesses that are being filtered out when ‘dentist manchester’ is searched for in Google. 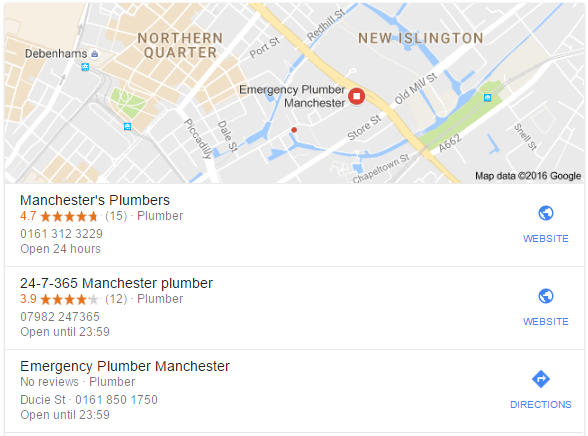 Highlighted in orange are the normal (with filter) results displayed within Google maps. As you can see only one company is showing under the business address ‘14 St Anns Square’. Highlighted in red and zoomed in (no filter) two additional businesses now show under the same address. It should be noted that results will vary depending on the keywords that are being searched for. With most Google updates it usually takes a few weeks for the storm to settle before we can really start assessing the damage. With trackers like Algoroo and MozCast still showing fluctuations, this could indicate that Google are still running some tests. Although most businesses have seen positive changes, we would recommend keeping an eye on your rankings until things settle down. With the recent changes to filtering in Google Maps, could this mean the end of virtual offices? Especially for businesses that offer the same services and are registered to the same address. Look out for a follow up blog on this.